Reflections was released last week on CD and digital formats by Transcend Music. The album is streaming in full exclusively on MetalMouth.net. Give it a listen at this location. The band comments: "We felt like this lyric video story would be the perfect alternative interpretation to our debut "Reflections"because it sets as the mood perfectly for the whole approach that the album takes lyrically and musically. To absorb the full essence of this album, we believe that if you listen to the story and right after to 'Reflections' itself, the maximum impact of the life-story the protagonist has gone through will be crystal clear." 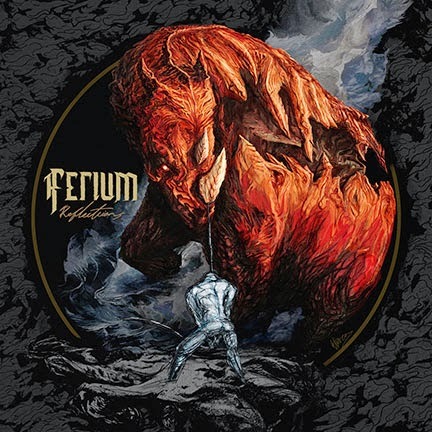 Formed in 2006, FERIUM were initially inspired by Pantera and Lamb Of God but over time influence from the likes of Textures, Gojira, Death and more found its way into their sound. 2009 saw their first EP 'The New Law' which gained the band international recognition, enabling them to play large local events such as Summer Carnage and Hallelujah, but also shows outside of their homeland, including Wacken 2009. 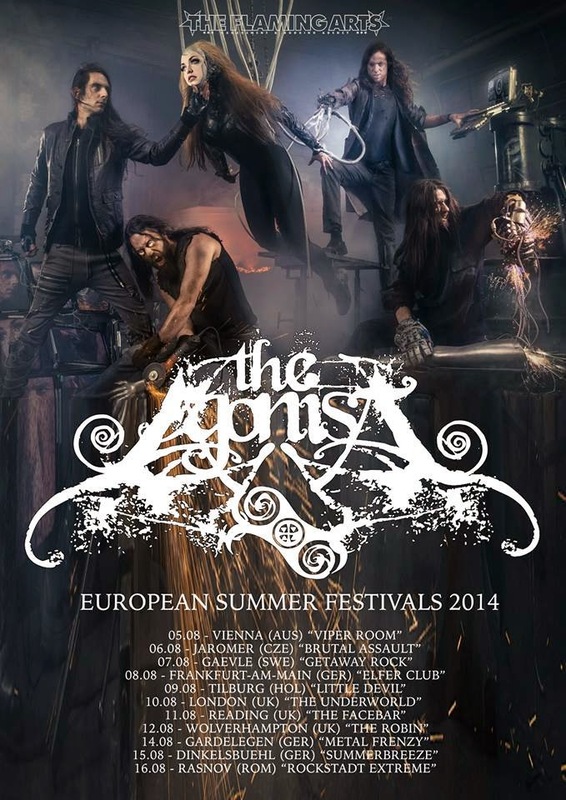 2013 saw the band return to tour Europe/UK supporting The Agonist and Threat Signal. Featuring cover art by Eliran Kanto Hatebreed, Sodom, Atheist), Reflections is the culmination of four years of hard work, pain, passion, anger and hatred and the results are not for the faint-hearted. 05.08 - Vienna (Aus) "Viper Room"
06.08 - Jaromer (Cze) "Brutal Assault"
07.08 - Gaevle (Swe) "Getaway Rock"
08.08 - Frankfurt-Am-Main (Ger) "Elfer Club"
09.08 - Tilburg (Hol) "Little Devil"
10.08 - London (UK) "The Underworld"
11.08 - Reading (UK) "The FaceBar"
12.08 - Wolverhampton (UK) "The Robin"
14.08 - Gardelegen (Ger) "Metal Frenzy"
15.08 - Dinkelsbuehl (Ger) "SummerBreeze"
16.08 - Rasnov (Rom) "Rockstadt Extreme"
U.S. Occult Heavy Metallers VESTAL CLARET and Cruz Del Sur Music have made the the title track off the band's upcoming release, The Cult of Vestal Claret, available as a free download. Snag your free MP3 of the song at the link below. Subscription to Cruz Del Sur Music's e-news letter is required. 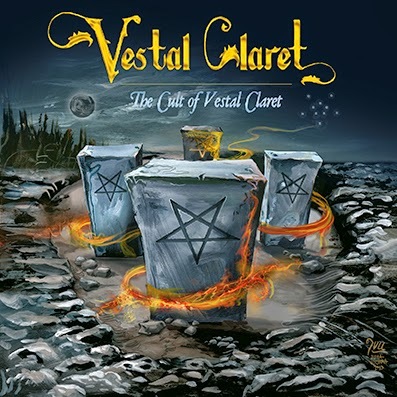 The Cult of Vestal Claret will be released through Cruz del Sur Music on May 6 in North America. The album will be available on CD and vinyl formats, each with different track listings. The Cult of Vestal Claret introduces to the masses a name that thus far has been quite popular only amongst the die-hard fans of the doom metal scene. In fact, Swanson is well renowned for his work with HOUR OF 13 and SEAMOUNT. VESTAL CLARET's pronounced BLACK SABBATH-inspiration together with Swanson's signature doomy style perfectly blends with the band's Traditional Heavy Metal influences, not to mention an accomplished drumming style, cutting guitars and catchy compositions. The morbid-themed lyrics walk hand in hand with the mesmerizing music: VESTAL CLARET celebrates the dark side of the human psyche, with abundant references to Occultism, Satanism and other disturbing imagery. The compact disc edition includes newly recorded versions of four previously-released tracks from the split with UNGOD, and the long suite "Black Priest" (a different, re-recorded version from the one present on the split with Indian band ALBATROSS). The CD also contains two unreleased songs, a cover version of BLACK SABBATH's "Who Are You?" and an exclusive CD-only track, "Great Goat God." The vinyl LP includes two songs from the UNGOD split, the two unreleased tracks, and an exclusive vinyl-only track titled "So Mote it Be." VESTAL CLARET might sound like a new name amongst American occult heavy metal music, but their origins can be traced back to 2005. When vocalist Phil Swanson met recording studio owner and multi-instrumentalist Simon Tuozzoli, he introduced Tuozzoli to his own "Occult Heavy Metal / Death Rock" project. Tuozzoli was quickly hooked, and VESTAL CLARET got started. After the release of the Two Stones demo, (that appeared on a split EP with Teutonic epic metal messiahs and label-mates ATLANTEAN KODEX), VESTAL CLARET composed and demoed out a full length recording. The recording was put aside and the group disbanded. They reformed in 2009 and soon followed with their 7" vinyl release Virgin Blood. VESTAL CLARET then released their first full length recording Bloodbath in 2011 on vinyl with guest performances from musicians all over the globe. The band's version of Bloodbath, without guest performances, was later released in 2013 on compact disc.